Indeed, Pope Francis is right: Benedict XVI still has much to give to the Church Vatican, the time for reform. What is the Pope’s position? 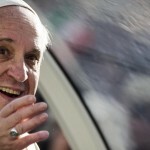 Pope Francis, a romanticized papacy? Pope Francis’ new alleged declarations to the Italian journalist Eugenio Scalfari (who had not presented them as an interview) and the interpretation of the Pope’s words on evolution once more has rung the alarm bells on how much Pope Francis’ papacy is being romanticized. As if, through Pope Francis’ words, the secular media were trying to adapt the Church to the world. Actually, Pope Francis is very orthodox. One cannot understand his pontificate if he does not understand his being profoundly a Jesuit. And being a Jesuit implies a mystic side, almost severe. Pope Francis has spoken several times about the existence of the devil, has warned about the perils of a do-it-yourself confession, and has underlined that the Church is hierarchical. How all of this fits with some of his decisions characterizing his pontificate, it is yet to be understood. A possible explanation is that the Pope strictly separates doctrine from governing, not considering them to be one and the same. It seems that his vision is that the government must be reformed, and possibly dismantled, to be replaced with a more genuinely pastoral approach. And this may be carried out only through an open discussion, richer in questions than in answers. This approach was noticeable during the last synod of bishops. Pope Francis sidelined the debate between a minority of bishops who focused on the casuistry of the very peculiar cases of homosexuals and divorced remarried, and the large majority of bishops who looked at pastoral care under the light of the doctrine. The Pope did not take a position, nor did he strive to have the synod reach consensus. He simply decided to publish the whole final report of the synod, and to make public the votes each paragraph had attracted, thus giving the impression of an open, almost parliamentarian, discussion with a majority and an opposition. Never mind if the majority is reached also because there are members who vote ‘yes’ only in order to avoid further discussions. This informal style of government is reflected in the Pope’s everyday activities, in the non-scheduled meetings he holds at the Domus Sacntae Marthae, the daily gathering of opinions from his trusted counselors and from others he holds in high regard. Among the latter, the Italian journalist Eugenio Scalfari. A self-proclaimed atheist, Scalfari founded the leftist newspaper “La Repubblica”, which have never missed an occasion of pointing a finger against the Church, describing her as outdated and detached from the needs of the world. Pope Francis and Scalfari meet often. In two occasions, Scalfari has published the Pope’s words as a conversation. Scalfari himself admitted that the conversations were not recorded, and that he had attributed to the Pope words he had not actually said. The statements of the Holy See Press Office to set the record straight have been useless: everybody thinks that Pope Francis has really spoken the way Scalfari describes. Last week, Scalfari published some excerpts of one of his conversations with the Pope about the Church’s missionarity, the truth, and the Jesuit and Franciscan identities. The excerpts were part of an op-ed, thus not raisinga lot of media attention. It was however a cunning operation: starting from the words that Pope Francis would have told him, Scalfari lays out – as Father Federico Lombardi, Director of the Holy See Press Office, has underscored – his “personal narrative”,reaching to the point of claiming that the the Pope implicitly supports the notion that truth is relative, and that in the end even the Gospels are a nice invention to fulfill man’s need to tell himself his own truth. Certainly, Pope Francis did not express his views that way, but the fact that his words, his way to engage in dialogue, is interpreted as if he had, explains why there are so many expectations on his pontificate. A pontificate that everybody seems willing to interpret as rupture, a change of pace and in the doctrine of the Catholic Church. The glaring proof of this came out last week, after the Pope’s remarks at the plenary session of the Pontifical Academy for Sciences. The theme of the plenary was natural law. The Pope was present to inaugurate a bronze bust of Benedict XVI, displayed at the entrance of the Casina Pio IV, the headquarters of the Pontifical Academy in the heart of the Vatican. Many have pointed out that the Catholic Church, and popes, have been stressing this for years. In fact, to do justice and recognize their contributions, the names of great Catholic scientists should be listed, illustrating such examples as that of Gregor Mendel, the Augustinian monk who pioneered the study of genetics. But the secular media hailed Pope Francis’ words as if they amounted to the advent of a new era and as if the Pope was inaugurating a substantial opening-upto science after years of obscurantism. Of course, this is nonsense. But this media frenzy proves the extraordinary expectations around Pope Francis’ pontificate. He had won over everyone with his informal way of operating, and brought this peculiar style into the pontificate. He has his own vision – not a program, which he has underscored he does not have – which seems to be about bringing pastoral care back to the center of the life of the Church, even at the expense of the concept of truth. This vision can be summarized by the image of the light house and of the torch, presented at the synod of bishops by the Jesuit Antonio Spadaro, editor of the Italian Jesuit-ran magazine “La Civiltà Cattolica”, and inserted in all of the synod’s documents. Father Spadaro himself published on La Civiltà Cattolica a diary of the synod, inferring that tensions on key current issues included the call for even more pastoral opening to divorced remarried and homosexuals. This was true, but the bishops making this call constituted a minority. Very likely, the majority of bishops who acknowledged to have received «with dismay» the synod’s midterm report would not identify themselves with those calling for such changes. Even this synod of bishops was subject to the pressure of the perceived need to tell the story of a Church that got rid of its historical brakes and which went forward toward progress. But this “progress”, in the end, looks like a surrendering to the spirit of the world. In the name of progress, the Church is to be told what to do and what to abstain from doing. And, in the name of progress, the very Church’s internal discourse is completely romanticized. To present what is really the focus of the Church’s discourse, media should write – and Synod fathers, as well as every priest, should discuss – about the Truth, the formation of priests, and even about confession. They should cover how the Church reflects on how to shape the world and how to orientate it toward the common good. They should understand that the Church is not just about setting up field hospitals, because she works also to address the conditions that make people need those hospitals in the first place. These are the challenges of vocation and mission of the family, to be discussed at the next synod of bishops. The notion that we are witnessing the second phase of Pope Francis’ pontificate has been widely mentioned, stressing that Francis’ honeymoon with public opinion has come to an end. But this notion – yet if it was clear it dealt with the Western world – focuses on the possible resolutions of the synod’s alleged controversies, leaving aside the most important challenges, which in fact have no appeal to news media. This is how Pope Francis’ pontificate risks in the end to be completely romanticized and misconstrued, and used as a Trojan horse to make the Church more worldly, closer to secular mentality. Pope Paul VI did not fear novelty either. He opened the Church to the modern world. But he always did it with the aim of evangelizing the world – two of Paul VI’s collaborators, cardinals Etchegaray and Poupard have recently stressed. And he also had the courage to write Humanae Vitae, the most cultural countercurrent encyclical ever recorded in history. 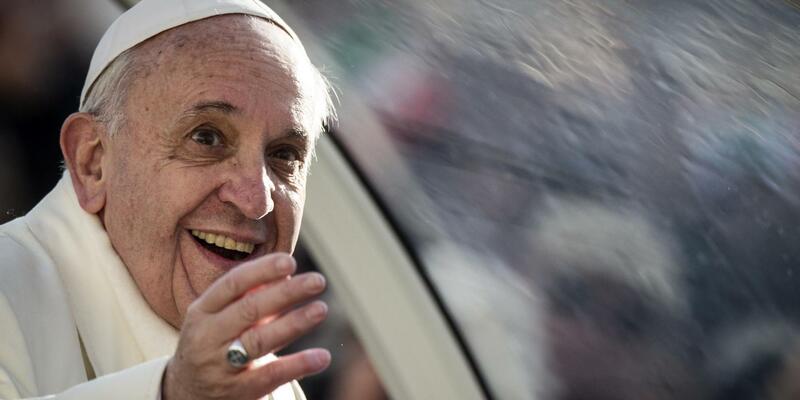 16 Responses to Pope Francis, a romanticized papacy? Pope Francis may be misquoted by some, but he definitely is a breath of fresh air, in my opinion, because he is an excellent communicator. This is the first time since leaving the Church over 30 years ago, that I feel like I could be accepted by the Church and return. Through this man, I am beginning to trust an establishment that at one time made me feel so alone! I have much work to do on my own part to heal the chasm that is still here, but Pope Francis gives me hope again. Reading carefully, one can see where reporters have taken liberties on what he says. Any critical thinker would consider the sources and do their own research, as well as pray for understanding in order to glean the truth. I am so glad that you now feel able to come back to the Catholic Church, and that you are ready to do your part. To live in the joy and friendship of our Lord Jesus Christ with the assistance of the Holy Spirit is a beautiful adventure for each day that we live here on earth. May God bless you and give you the grace you need to return home! As far as evolution and the big bang goes, Pius XII said both did not contadict Catholic Teaching. People just want to get their pants in a wad about something. A magnificent book, “Chance of Purpose,” written by Christoph Cardinal Schonborn is a brilliant study of the Catholic Church on Evolution. It was an excellent discussion group for adults held at our parish. I am delighted by Pope Francis’ very clear statement because it clearly demonstrates that we are set apart from other Christian groups. It is somewhat embarrassing to be lumped with persons who sincerely believe that the earth was created Oct. 23, 4004 BC. The Archbishop of Ireland James Ussher estimated this in 1650, and his work continues to be cited today by many creationists. Too many strange notions of some of the 35,000 different Christian sects muddy the waters and cling to our Catholic faith. We do not burn Korans; we do not desecrate the funerals of soldiers shouting that they deserved to die because of America’s homosexual community; we do not denigrate women and refuse them healthcare; nor do we believe women’s bodies should be treated as useful objects rather than deserving of true love and respect. We respect and love the most vulnerable and powerless in society from babes in the womb and the disabled to the elderly and infirm. It is time we define our doctrines and stand apart from a wild array of Christianities that promote unusual and non-Christian ideologies. The Church should be welcoming to all sinners and saints alike. To attend the Holy Sacrifice of the Mass is a blessing and font of grace in itself. If unable to receive the Eucharist, one can come to hear Holy Scripture and visit God in his earthly dwelling in Church. Adulterer, liar, thief, etc. must bask in God’s presence and limitless mercy at Mass. We must work for unity with all, but we need to express who we are “as Catholic Christians” with pride and humble appreciation for our clergy, scholars and fellow laymen and women. I have tried to give Francis the benefit of the doubt, but that will no longer wash. He thinks he is an intelligent man who can control the forces he is unleashing, but he is not. What we have is a very Argentinian Jesuit playing at Peronist politics and a disaster for the church. I hope you find it in your heart to deepen your trust in God, the Holy Spirit, the Church’s Spouse. Pope Francis has been accused of many things, but usually a subsequent article reveals that there was a poor translation or reportage involved. I remember Pope Benedict had the same problem with being misrepresented. I remember Pope Saint John Paul II was misunderstood. I remember the mean and ugly things that were said of Pope Pius XII. I remember how Blessed Pope Paul VI was vilified. That’s the devil’s work, destroying our trust in our leaders. So, please, pray for them. Thank you! “A possible explanation is that the Pope strictly separates doctrine from governing, not considering them to be one and the same.” How can this be possible? What is worth a doctrine that’s not reflected in practice? Is it like many fake-Catholic politicians who say, “I am PERSONALLY against abortion but I don’t want to impose my beliefs on the others”? Jesus told the women her sins. She went and told her friends that she a man who told her everything she ever did. She was excited to share it. She rejoiced in the truth about her moral condition. She accepted Him, because he told her what she was doing wrong. He did not say, it’s okay, I’ll just walk with you. This is the Gospel. Yes, he went to the fringes, but he always told the truth with Charity. He did not avoid the Truth. He was the model of Pastoral. The people in Rome can do whatever thy want, but they can not destroy the Church of Christ. No, but they can do a great deal of damage, as Bergoglio did in Bueno Aires as Archbishop and amongst the Jesuits as Provincial. It doesn’t seem to me obvious that one’s “mystic side” supports being “very orthodox”. Mystic people are people who find God by themselves, directly, without using the mediation of the established Church. Let us take the example Joan of Arc. She was a mystic, she heard “voices”, and the Church executed her by burning as a heretic. Let us take the example of Padre Pio. In the 1920s he was forbidden to say mass by the Holy Office, that is by the highest authorities of the hierarchical Church. In his 2013 interview to Civilta Cattolica Pope Francis mentioned Jean-Joseph Surin as the typical mystical Jesuit. Jean-Joseph Surin was borderline, at the edge of mental disease and was a source of worry for the Jesuit Order’s higher-ups. Another mystical jesuit of that time was Jean de Labadie. He left the Company of Jesus to become a Jansenist, then converted to protestantism, then disagreed with the protestants and founded his own Church. This is explained by Michel de Certeau s.j. in his book “the Mystical Fable” published in 1982. Please look at the vote count. It was the other way around, the majority, about 60% was with Kasper, not with Burke. The vote didn’t get 2/3, but it got the majority. But keep in mind, those 60% voted “with Kasper” only after the paragraphs were changed to reflect doctrine and scripture. They did NOT vote with Kasper the way Kasper wanted the text to read. Yes but the 60% voted “with Kasper” only after those paragraphs were changed to reflect doctrine and scripture.they did NOT approve the Kasper text. Cardinal Burke is a brave and faithful Catholic. pope francis has not written or said anything that is contrary to the teachings of Jesus Christ. however, there appear to be many people, some catholic, who think that their ways are better than the ways of francis. where they get this idea is beyond me, because nothing the critics of francis have written contains substance. the critics and their writings are very misguided and they would do themselves and the rest of us a great service by spending the next decade or two in prayer before again presuming to teach the rest of us by issuing harsh and ignorant criticisms of pope francis.